I am changing the way do things on my blog. I’m a writer, true and true. I’m always looking at ways of how to expand my writing and connect with my readers. So of course, this past week I’ve been on Pinterest pinning my little heart away. Trying to find ideas and get inspired about creating new content for my blog. The internet is full of knowledge just brimming over with information at every corner. Through my Googling and determine pinning I came across a really cool website to help bloggers come up with ideas for their blogs. 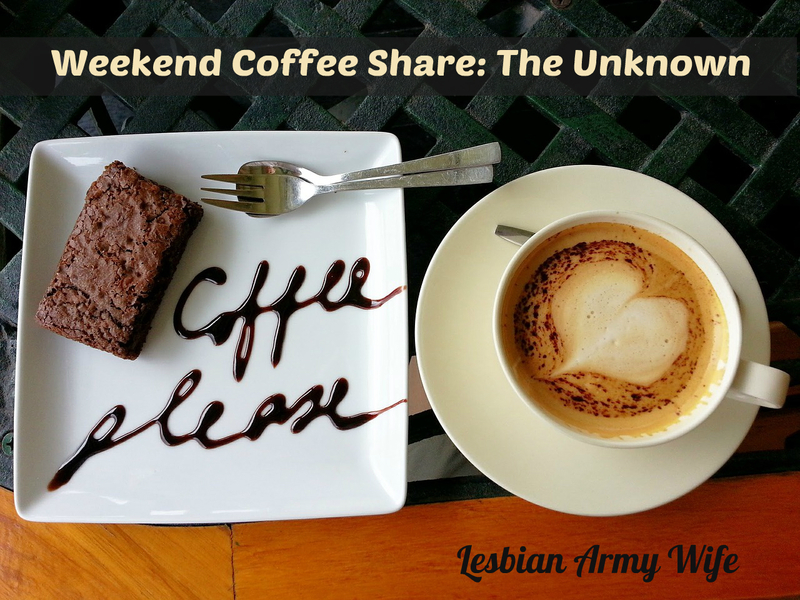 There was one such post that caught my eye on the website – #weekendcoffeeshare. It was sort of a challenge to write every weekend about what you learned the previous week or write about something that matter to you or something that you would share with a friend. I’m here to share with you what I’ve learned this week about being a military wife. I have grown lately as my wife grows in her job as it changes. My wife recently decided to forgo re-enlisting for federal active duty and has taken a job with the State Guard on SAD (state active duty). A little more than a year ago I dove in and started my blog. I realized early on in my researching of how to be the prefect spouse (not that I am the perfect spouse but I aspire to be the best person possible.) I noticed here weren’t too many blogs for lesbians whose spouse was in the military. I wanted to be the change in my world. Hence my website and blog. I would say when your spouse joins the military or is in the National Guard/State Guard one thing’s for certain nothing is ever for sure and you’re always waiting. Right now she is waiting for her orders. Once it is official then we can start the process of registering for DEERS and I can decide if I want to go back to school and we can break our lease and move closer to her job. 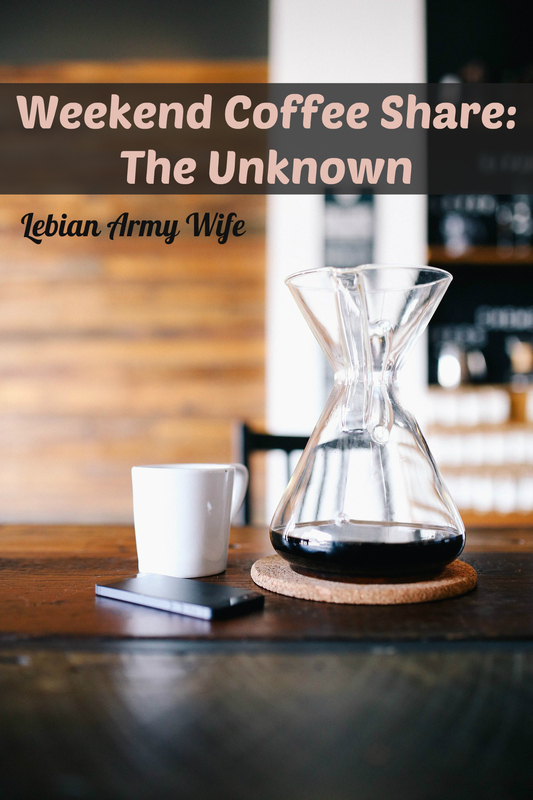 I think as a military spouse you have to be ok with uncertainty and you have to be okay with the unknown. At this point my wife is serving in the State military which is part of the National Guard, I think. I am still trying to figure out everything. This week I share with you is when you’re a military spouse you’re always trying to figure it out and that’s okay. I believe you have to find how to deal with that. The way I have found to deal with uncertainty or the unknown is by blogging – writing. I use my passion writing to keep me sane, to keep me focused, grounded, to keep me going. That’s what I’ve learned this week. That’s what I want you to know: find out how you deal with uncertainty and keep going, keep learning, keep doing, keep being a great military spouse. What are you thoughts? Leave a comment and share what you think!